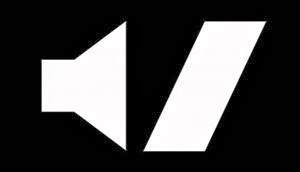 The videos of the documentary 14 Years Of Gabrielles Wish (featuring interviews and live performances) and Cut Here (taken from the 2006 Martyrs Come Hang Your Signs EP) have been added to the Video section. Both are available streaming and for download. Live, the new album by Gabrielles Wish, is available on Tunetribe. The excellent recording was made at the concert of November 14, 2007, at the Roadhouse in Manchester. Each track (top quality MP3 files - 320 Kbps - with no DRM restricions) is priced £ 1.00, but the complete album (11 tracks) is priced only £ 6.99! Another great anti-war video made for a track taken from the Gabrielles Wish EP from 1996. Another track taken from the Gabrielles Wish EP from 1996. Strong music, strong video. An effective anti-deforestation video which becomes a more general ecologist and pacifist appeal, playing on the double meaning of the title. 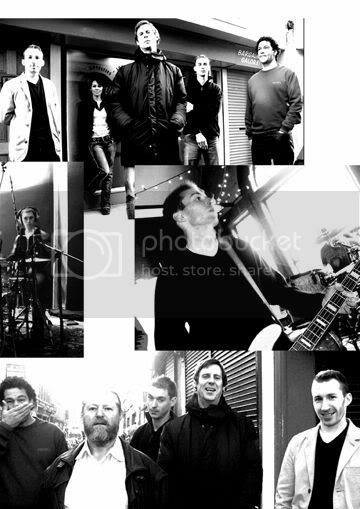 This wonderful instrumental is taken from the Martyrs Come Hang Your Signs EP from 2006. Consumer Man, from the Consumer Man sessions of February 1996, is one of the best songs ever, a lost gem which can be heard for the first time streaming on the Gabrielles Wish MySpace profile. 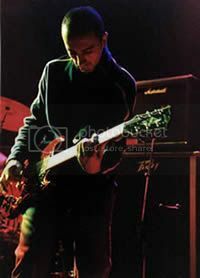 Yves Altana was the Corsican guitarist of Manchester band Wonky Alice (of which Gabrielles Wish were fans) and Invincible, a band formed with The Chamaleons leader Mark Burgess. Now Yves is working on a new project called Recognized. He produced the Gabrielles Wish album Portal. He sent this short but interesting note about the band. Many thanks, Yves. I got to know them as I knew Paula who used to manage them. 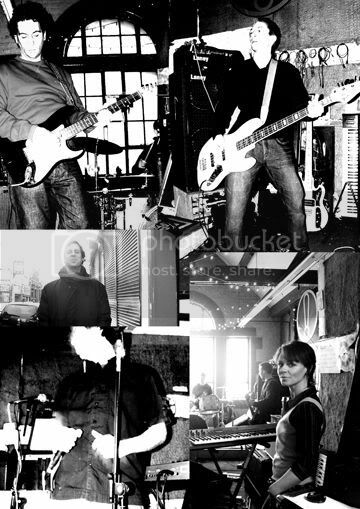 My ex girlfriend did some great photo artwork with them and we used to watch them in small venues in Manchester. Later, I recorded some demo-songs for Gabrielles Wish (about 6/7 years ago) in their rehearsal room. I really enjoyed working with them "artistically", and got on really well with every one of them. During the "Portal" sessions, it was my role as the producer not just to record the music but also to bring the best out of everyone individually and I believe that we achieved that - I really felt being part of the group for 3 weeks!!! They all are very generous and they always gave me enough space to create intensity and atmospheric vibes into the songs. I was also lucky to meet and work with their young drummer called Bo. He'll become an amazing drummer (he's already one!). As for Rob (singer), his vocal takes were immediate, just enough time to put the vocal mic through the compressor and press RECORD. Every "vocal take" were just PERFECT. After each one, he would say to me: "How's that Brother? ".